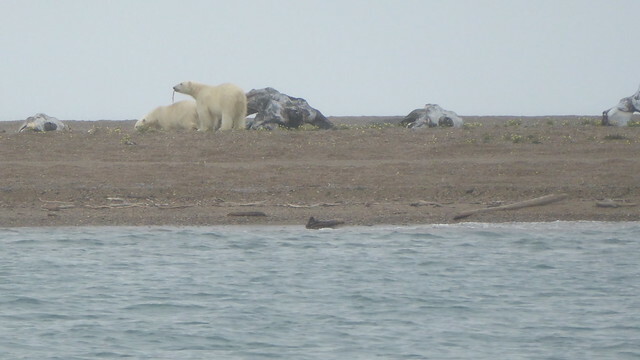 We arrived at Cross Island late in the day on the first day of August, hoping to see a polar bear or two. Circling the island to find a good anchor spot we were impressed by an artistic, stark and somewhat spooky arrangement of whale bones that lined the island. 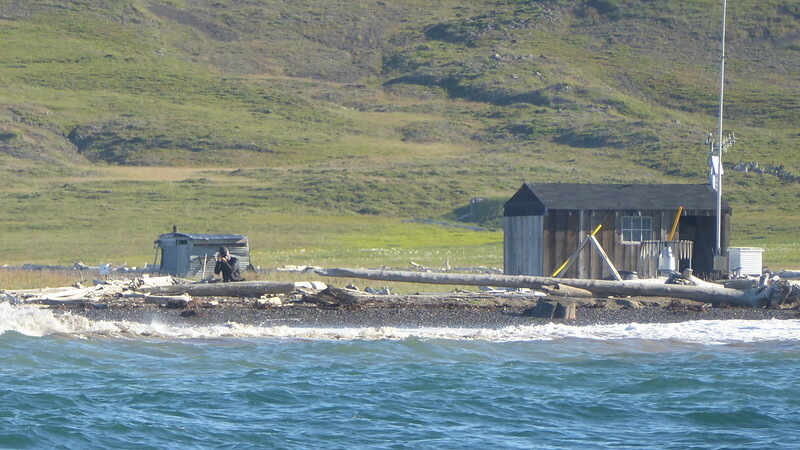 We also saw a couple of weathered shacks and radio antennas, remnants of the days that the island was used as a base for whale hunting. 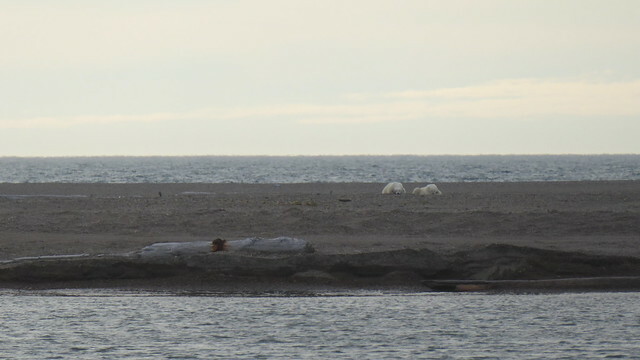 And several polar bears! As we dropped the hook they sniffed and squinted at us with mild curiosity. 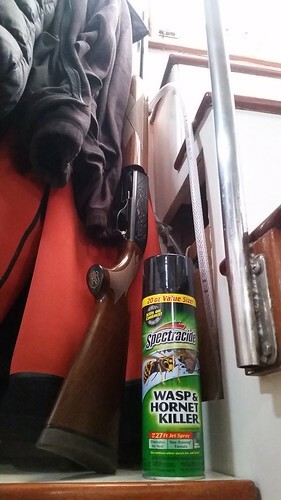 Having been well warned about bear danger we loaded the shotgun, found the can of deterrent spray and boat horn, and enjoyed the evening watching them go about their business. Which was mostly sleeping. We also felt sleepy soon enough and turned in. 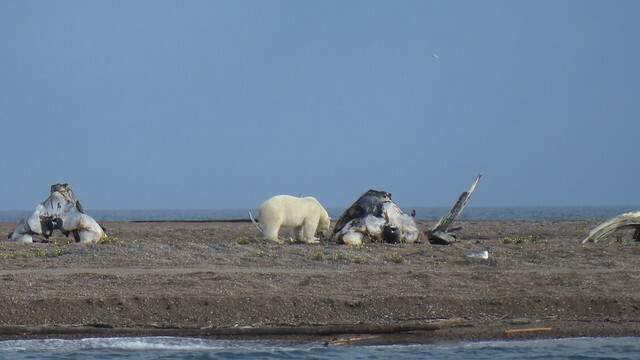 The next morning came quickly and early (it never really gets dark in early August at this latitude) and we hoisted anchor as the polar bears ambled up and down the beach, snuffling and pawing at the tide line like big burly beachcombers. 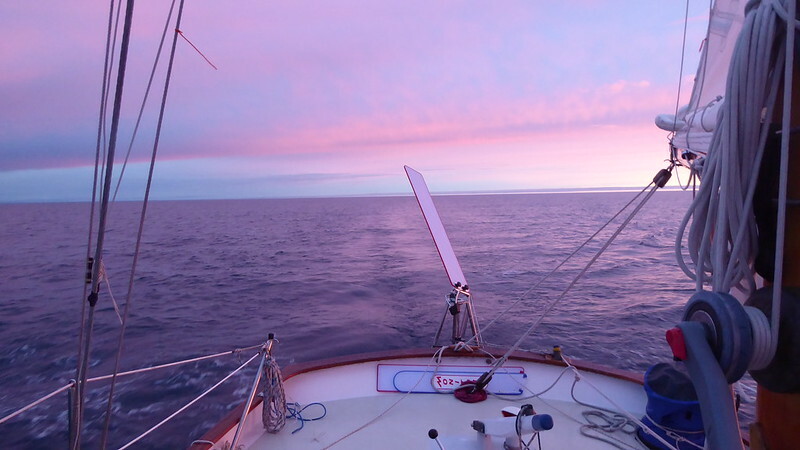 We set a course east and motored away in a calm sea. 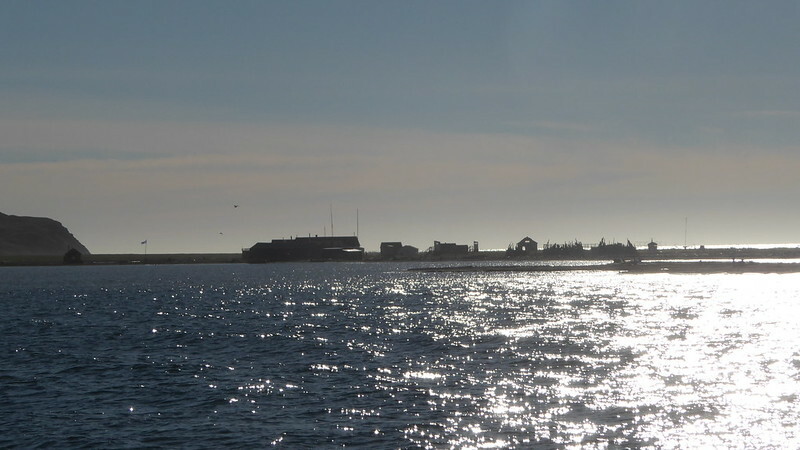 We were headed to another island; one that had been recommended to us to visit for its protected anchorage, good hiking and sauna. Sauna in the Arctic? Interesting! The wind came up allowing us to set sail and deploy the wind vane for steering. It’s wonderful how motoring in calm seas works with steering by autopilot – running the diesel engine produces the power the autopilot needs. 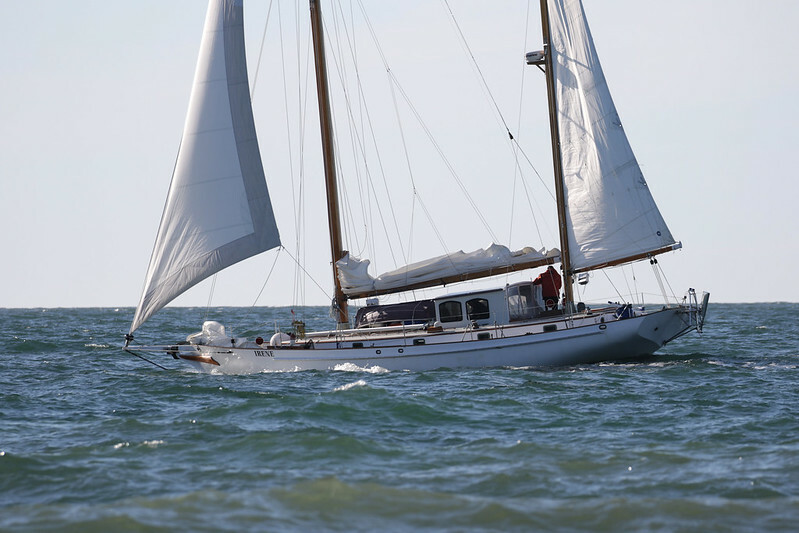 And the wind vane comes into its own as sail is set, uses no electrical power and is at its best when the autopilot would be under severe stress – big quartering seas or shifty gusty winds. So, Irene charged towards Herschel Island and the fabled sauna in the increasingly steep chop. Some “experts” predicted that Irene would not steer at all with a wind vane but it turns out she does fine. A passage of two or three days is the most tiring length for us. One day – by that we mean about 24 hours – is usually no problem, and after two or three days we adjust nicely to our four hours on and four hours off routine. But our passage to Herschel was in the tiring range. And the waves had built to a short chop that translated into an exhausting motion on board. We were both completely fatigued by the time Herschel Island appeared on the horizon and the motion only got worse as we closed in on land. The island is located where a deep trough cuts into the shallow continental shelf producing a wicked chop. 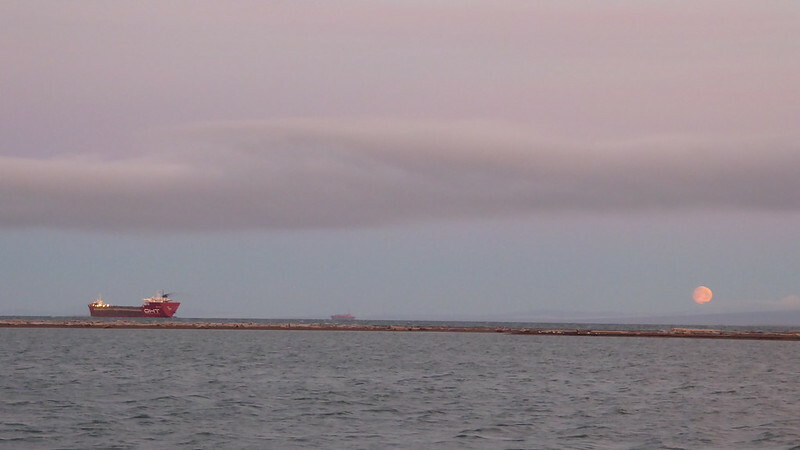 It was around two AM and actually dark by the time we dropped anchor in the bay – thankfully a beautifully protected calm bay – after negotiating a tricky approach around anchored tugs and barges. We fell into an exhausted dreamless sleep, still in our foul weather gear, when suddenly Peter woke with a feeling of unease. A quick look on deck showed that we were dragging in a very light wind towards the beach. We raised the anchor noticing that we had gone to sleep with completely inadequate scope on the anchor chain – 30 feet of chain won’t really hold much boat in 28 feet of water – and anchored again. We double checked the marks on the chain against the master list of marks and felt secure enough to go back to sleep. Hours and hours later we got up and during a late afternoon breakfast, we analyzed the latest weather and ice reports. The information seemed to tell us to get moving quickly, the wind was right, and most of the fleet of “east bounders” was well ahead of us so reluctantly we decided to move on immediately without landing and exploring. No sauna for the weary crew of Irene. A photographer on the beach, Cameron, took some nice pictures of us as we left the bay. He later contacted us and graciously allowed us use the images here. 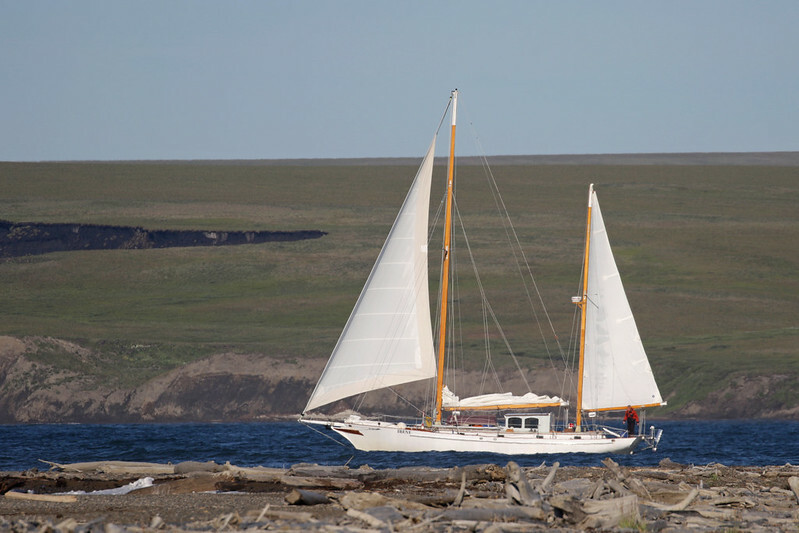 We are sailing under yankee jib and mizzen, our usual sail combination for maneuvering into and out of harbors. 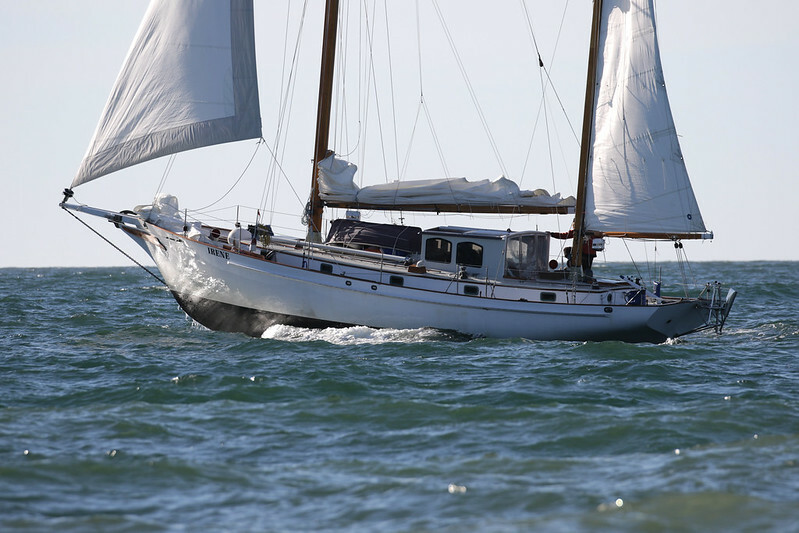 Irene is completely controllable in that configuration – speed is low and steering is very precise (she responds to strong gusts without weather helm) and tacking and jibing is sure and easy. 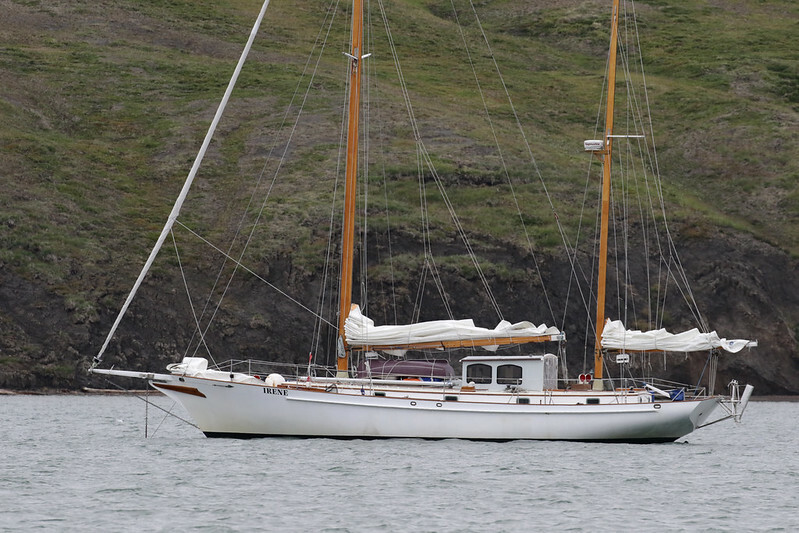 With the jib rolled up and the mizzen sheeted in hard Irene lies obediently head to wind and the foredeck is clear for dropping or raising the anchor. When we get the sea room we can set the main (if needed) and reef or not to suit the conditions. Irene shouldered her way into the usual short Arctic seas as we cleared the land. We were headed to our first native village, a visit to the RCMP to clear customs into Canada, and a refuel stop. 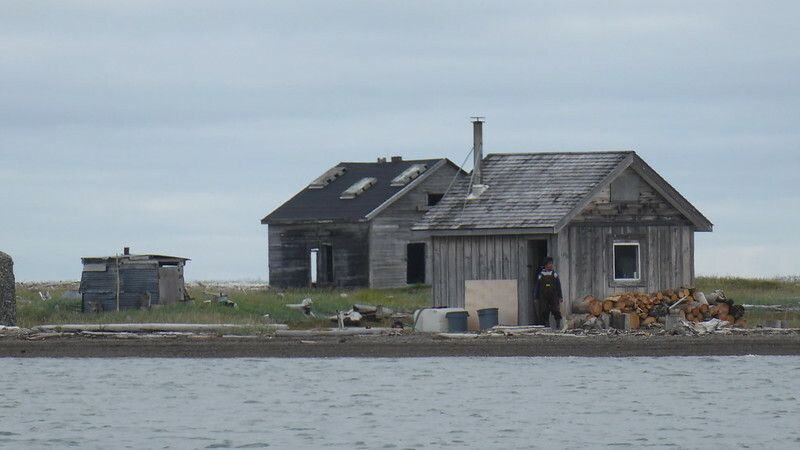 And, although we did not know it at the time, going to Tuktoyaktuk was a planning misstep that would magnify the difficulty of completing the Northwest Passage for us.